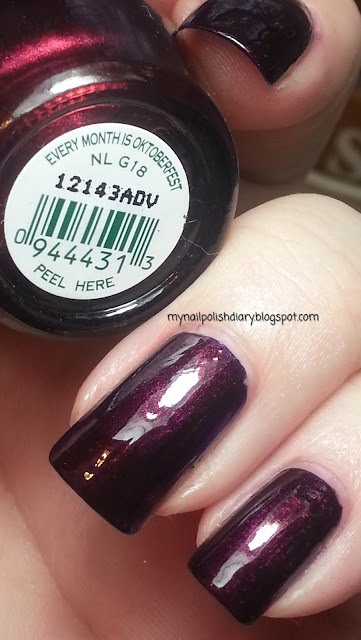 OPI Every Month Is Oktoberfest is a purple base with gold, red and purple shimmer. This looks amazing in the sunlight. It's a beautiful shimmery delight.